Apples are overrated. When you think apples, think pears! Ok, I admit that caramel apples are a favorite in our house this time of year but these Salted Caramel Pears with Homemade Caramel Sauce are quickly giving them a run for their money. Salted caramel is sweet and salty. Whether it is on an apple or a pear, it is just simply delicious! I normally prefer Bartlett pears for this recipe but really any type of pear will work. If you prefer a bit of a tart flavor, choose pears that are slightly under-ripe, but ripe pears work just fine too. Wash and dry all your pears (note: if your pears are cold, toss them in the microwave for 20 seconds and dry). In a medium sized sauce pan melt your 8 T butter on medium heat. Once your butter is melted, stir in brown sugar, Karo syrup, condensed milk, and sea salt. Bring ingredients to a boil on medium to low heat ( stirring constantly so it does not burn) for about 10 or so minutes until caramel thickens. Pour caramel in a medium sized mixing bowl and let sit for 10 minutes. Now take your pears and dip in your fresh caramel sauce. Sprinkle a touch of sea salt on your caramel covered pear and place on a piece of parchment paper. Repeat steps 2-7 and place your pears in the fridge for about 30 minutes and enjoy! This is a perfect fruity fall dessert to serve at any type of party. This homemade caramel sauce is quite tasty and can be used to make caramel corn, caramel apples or for ice cream topping. What is your favorite salted caramel recipe? Want to print this out to save? 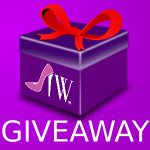 Click the print button below. Repeat steps 2-7 and place your pears in the fridge for about 30 minutes and enjoy! What a great idea. I’ve never tried making caramel pears. I love the sweet and salty combination of this treat. I can’t wait to try this. This sounds so yummy and I love the sweet and salty combo. I can’t wait to make this recipe. These sound absolutely delicious! I always see caramel and apples together, but I bet it goes equally as well with these pears. I bet this is delicious. Something about the combination of pears and caramel with the salt. Yum. Oh my goodness…condensed milk and salted caramel….that’s all I need to hear. YUM!!! Oh yum, I’d love to do this sometime. I definitely need to pick up some pears and try it when I get the chance. What a great way to make the pears. I’d love to try this recipe. Yum! I’ve never had this with pears. I think my grandma used to do something like this with apples. I would love to give it a try with pears. It looks just delicious! Saved the recipe! I love salted caramel flavours! Is there any substitute for Karo? I hardly see it in our supermarkets. This is a substitute for corn syrup. You can google around and there are other ones out there that use brown sugar or molasses. I have to admit I’ve never heard nor seen caramel pears, but I actually think I would like it better than apples. Thanks for the idea! These look so amazing. I will have to get the ingredients i need to make this on the weekend. Oh this looks like a great fall recipe to try out! I love pears! I don’t think I have ever heard of caramel pears. I think I need to give this a try…pronto! I would eat just about anything dipped in salted caramel. It is my favorite! My husband loves salted caramel desserts. He would definitely like this and I know he will want me to make it for him. This looks absolutely delicious. Love the awesome combination of Salted caramel with milk making it the best treat that anyone would fall in love. Would love to try this recipe sometime. I’ve never had caramel pears before, this sounds really delicious. I might just have to give it a try. This looks so good! My kids and husband would love me to prepare this great dessert for them. Oh my goodness – divine! I love pears and anything dipped in caramel. Can’t wait to try this recipe out! Oooo I love making homemade sauce. Your pears look really good and tasty. What a great idea to use pears instead of apples! I really love caramel sauce with ice cream and as a topping for a cheese cake too! Mmmm!! These sound amazing and look delectable!! We will have to try them for an after apple season treat!! Im trying to make it through a whole bushel of apples at the moment lol!! I have a pear tree. I have never thought of pears with caramel. It sounds great! I have never thought about using pears. This looks great! Okay I seriously want this now but I am not even hungry…LOL….thank you for sharing with us and I pinned for later as well. Oh my, these look so delicious. Carmel apples hold a special place in my heart as my mother made them every year and handed them out to the town’s children every Halloween. Making them using pears instead seems like a fantastic variation. Thanks for sharing. I love pears, it’s my favorite fruit. And of course caramel is just delicious. So I’m going to be trying this. I’ve never made caramel with these ingredients. So thanks! These sound delicious, I never thought of making caramel pears but I will now. Looks yummy my kids might love this. This looks good to me. I will have to try this recipe out for the kids. These sound absolutely wonderful! I would never have thought of using pears instead of apples but now I am going to have to give it a try. Great idea to make this with pears. Good time of year for it. This looks so delicious! I don’t know why, but I’ve never thought to do caramel pears. Always apples. Pears would be a lovely change! I have to admit that I have only ever had pears raw, this recipe does sound good..
wow that looks good adding it to my pinterest page. Oh, this looks and sounds so delicious! I’d like to make this for my mom…she would love it! Thank you for sharing this recipe! I love pears. And, salted caramel is delicious. I have got to try this! What a wonderful recipe–and so easy,I can make this one for sure,thank you for sharing this. Oh, now this HAS GOT TO BE Amazing! I am definitely going to try these with my mom, she loves salted caramel and pears as much as I do. I know this recipe is going to be a favorite around my house. I have not seen anything like this with pears. I would love to give it a try. This is a wonderful idea. I have a pear tree and will try them next year. ave a pear tree in my yard. I wll try these when they are ripr next year. They sound really good. 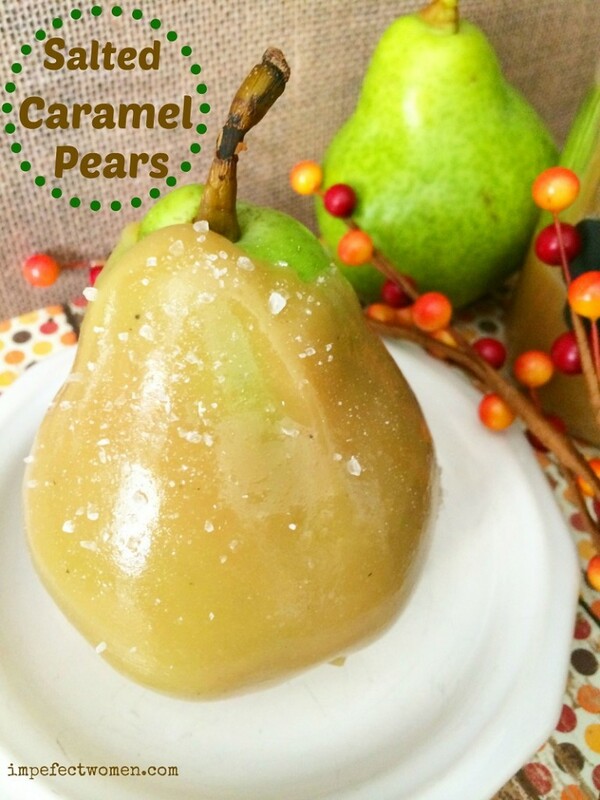 Pears and Caramel are 2 of some of my most favorite food items out there!! This sounds absolutely delicious and i’m really shocked I never thought of mixing the two! Thanks for the recipe! Wow, these pears sound wonderful! I will attempt to make these for my grandchildren. I love any homemade sauces and wow this looks decadent.Thanks so much for posting the recipe. This looks absolutely delicious. I love pears and love the sweet and salty combo. I can’t wait to make this. I “discovered” salted caramel relatively late, after it had become something of a craze. …And I am IN LOVE! As soon as I saw the name of this recipe, I just knew I had to check it out. And it looks incredible! So excited to make this. Thank you! This sounds so good. I love salted caramel. I have to try this. Very pretty and a simple recipe! Thank you. And I’ll bet the sweet and salty mix is wonderful. Oh wow! 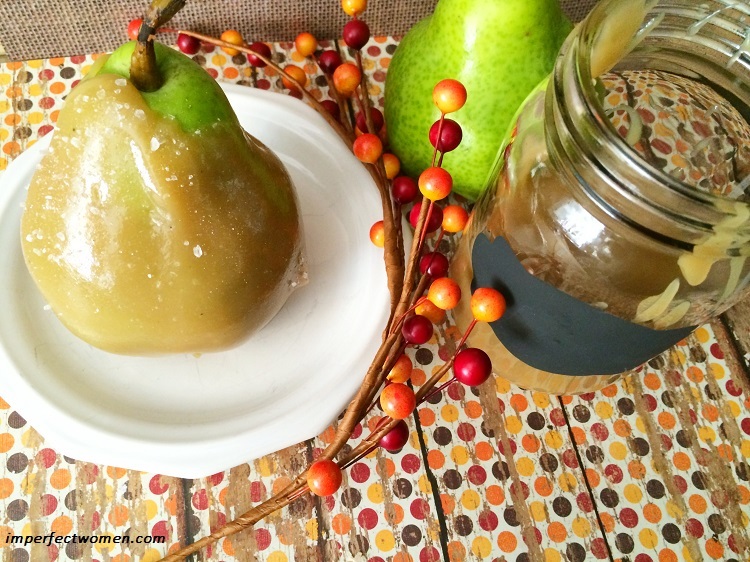 What a delicious twist on a caramel apple, these pears look incredible! 🙂 I definitely can’t wait to make some, pears are my husband’s favorite! I love salted caramel. I like the idea of using it on a pear. Apples are good too, but using a pear is a nice change. I can’t wait to try out your special recipe for the Salted Caramel Pears with Homemade Caramel Sauce. I think it sounds delicious, and I hope I do as good as you did in the photos. I’ve never heard of this before, but I love salted caramel! I bet these pears are delicious! I can’t wait to make them! I’ve never heard of this before, but I love salted caramel! I bet these pears are delicious! I can’t wait to try them! Ohhh these sound delicious! I will have to give them a try! Thanks for the Post, Pictures, and the Recipe How To! These look so good! And easy to make! I love that this is the best of both worlds, sweet and salty. I also have never thought of using pears with caramel. Apples always come to mind. This is a great option to have some diversity. 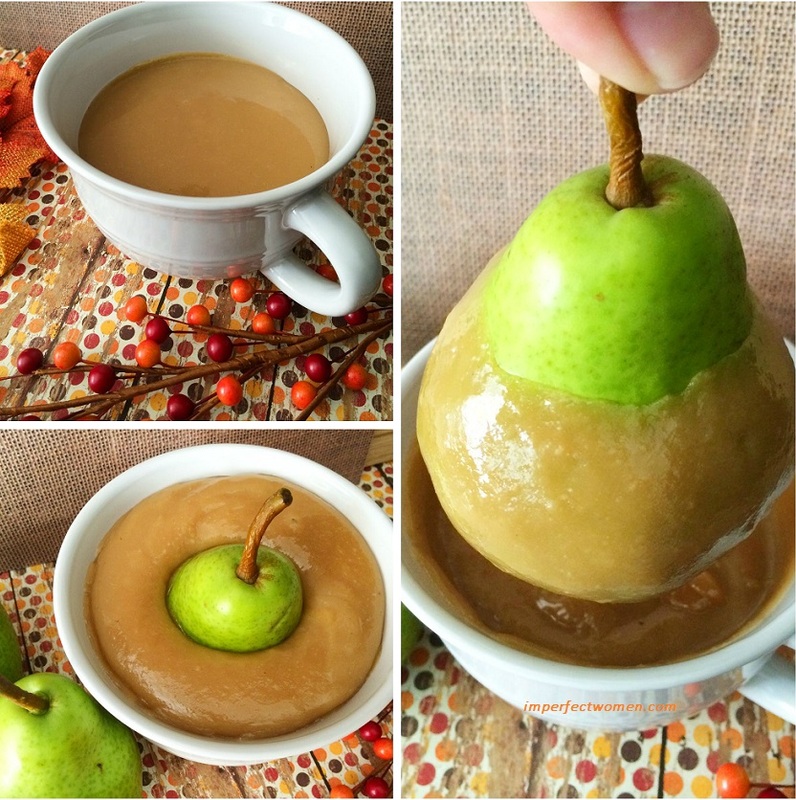 Gosh, after making and eating caramel apples all these years….. I’ve never thought about trying it with pears! I love fresh fruit, so I’ll plan to grab a few pears when making caramel apples this year! I love this recipe.It’s simple, tasty, and a good change of pace from caramel apples. oh my gosh. These look so good. I just went apple picking so I will do it with some apples first. I have a family get together and will do the pears for them Thank You for sharing this. Awesome…love this!!! I love pears more than apples. I’m going to have to make this for Thanksgiving and send them home with my guests. Thanks for sharing the recipe. (Salted Caramel Pears with Homemade Caramel Sauce) This pear recipe sounds really good to me, I like eating pears when they are in season. I love pears and this sounds delicious. I will definitely be trying this recipe. Thank you for sharing. These sound really amazing. Salted caramel is one of my favorites and who doesn’t like pears? The combo is genius.